It happened again three weeks ago in Oregon, where I encountered an earnest young man who had arrived via bicycle and set up a small folding table at the entrance to the multi-day public event at which I was speaking. He had some flyers and a clipboard and was encouraging people walking by to sign a petition to ban aerial spraying of trees on private land by forestry companies. I had a few minutes to kill, and thought, this’ll be good, so I strolled up and asked him what was being sprayed. Verbatim, predictable, and about the tenth time someone has tried to tell me that 2,4-D—an organic compound found in hundreds of herbicide products used by farmers and gardeners to control weeds—is half the ingredient used to make Agent Orange. And that somehow, that makes it really scary. It isn’t. Agent Orange is a combination of 2,4-D and 2,4,5-T, creating a powerful defoliant used in the Viet Nam War. Dioxin, a highly toxic chemical compound within 2,4,5-T, caused severe health problems to troops who came into direct contact with Agent Orange. However, dioxin is not contained in 2,4-D, which is used widely today due to its low toxicity to people and animals, and its rapid breakdown in the environment, when used in accordance to state requirements and label directions. 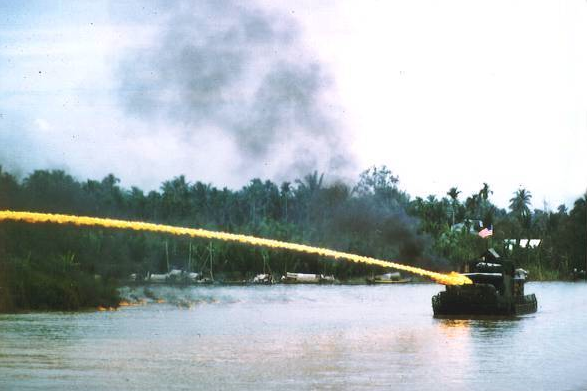 Napalm was used in Viet Nam to defoliate dense jungle habitat that provided protection to the enemy. I also made my aluminum powder comparison. It’s used widely in the paint and thermal conductive industries. You can drop a drum of the stuff from an airplane and when it hits the ground, nothing happens, except the drum cracks open. But mix aluminum powder with water, and the chemical reaction is so quick and explosive that aluminum powder and water were combined to make bombs during World War I.
I pointed out to him that drums of aluminum powder currently are shipped across America, meaning that on any given day, that semi truck rumbling past you may contain half the ingredient of a powerful bomb. And stay away from drinking fountains! The other half of the bomb’s ingredient will flow forth, into your mouth, at the touch of a lever! Point being, unless combined, both are inert. This common, “half the ingredient of…” argument is a classic example of attempting to sway opinion via emotion-based thinking. If you don’t examine the argument closely and factually, the “Agent Orange” part of the claim registers in your brain, and you think it means something. As for the rest of his fears, I pointed out that pyrethrum is indeed a nerve toxin, a fabulous organic chemical found only in the flowers of a few varieties of African daisies. 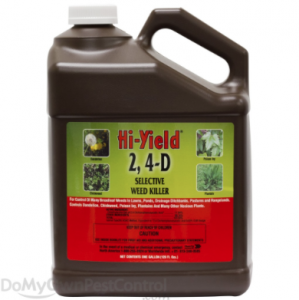 It is used extensively in organic farming, in spray form, to kill insects on crops. With a very low Environmental Impact Quotient (EIQ) of 18.0, its toxicity doesn’t mean much to humans—you’d need to purposely inhale it to get a brief, slight headache—but is deadly to insects. I pointed out that I doubted they were actually spraying pyrethrum—the stuff’s expensive—so probably what he was concerned about was the spraying of pyrethroids, the synthetic form of the same chemical. Much less expensive, same EIQ, and more effective, meaning fewer sprayings are needed. Know your enemy, I always say. Throughout our discussion the young man was very gracious, and thanked me for my input. However, he said he needed to get back to his work getting autographs for his petition. So we never had a chance to get into the whys and hows of the issue, that trees in Oregon and across the entire Pacific Northwest are facing, as always, a new round of naturally occurring pest and fungal infections. And that in decades and centuries past, all we could do was watch them die, acre after millions of acres. Aerial spraying of pyrethroids was being implemented to try to control a wide range of bark beetles and boring insects impacting the health of many of the magnificent coniferous trees that are the PNW’s hallmark. 2,4-d is sprayed to control broadleaf weeds in forest areas, which can harbor naturally occurring fungi that can mutate to adopt tree foliage as their host. Aerial spraying is by no means a perfect solution. There never are any. There are environmental risks as well as benefits. I believe that is the starting point for discussion and suitable resolution. Disinformation disguised as emotion-based arguments ignores science and hinders the quest for fair and practical solutions. I thanked him and wished him luck, then went inside and found the event manager, because I knew that petitioning for any reason at the front door of an event on private property wasn’t allowed, and because I can be such a jerk sometimes. There is a simple reason for the law—otherwise, you could have people setting up tables and selling Girl Scout cookies, another group espousing atheism and still another proclaiming repent, the end is near. Free speech is protected by the fact that there are plenty of public spaces in which to advertise your views, sell things, accept donations, or get signatures on petitions. She rushed out and explained to the man that he couldn’t petition at the front door, but was welcome to set up on the edge of the property, 100 feet away. He politely obliged.